I had a slightly elongated journey to the GA conference, starting the day in Devon, and driving up to Cambridgeshire, where I left my family to continue the journey home, and picked up the slow train south. Guildford is not my favourite venue because of how spread out various venues are, and it was a long journey, lasting over 7 hours. I arrived just in time for Peter Gibbs’ lecture to end. It was well received by those who saw it, and hopefully will be appearing in some form on the GA website. The awards followed, and there were some good resources receiving awards, as well as schools receiving Quality mark awards. 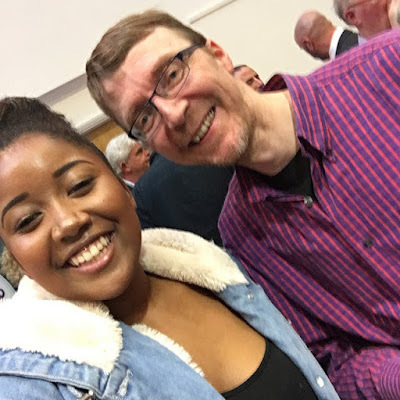 I met Eeva and Ian from Follow the Things as my first ‘hellos’ of the event – the first of several hundred over the next few weeks. I also met up with the British Red Cross colleagues I worked on the GA resource with. 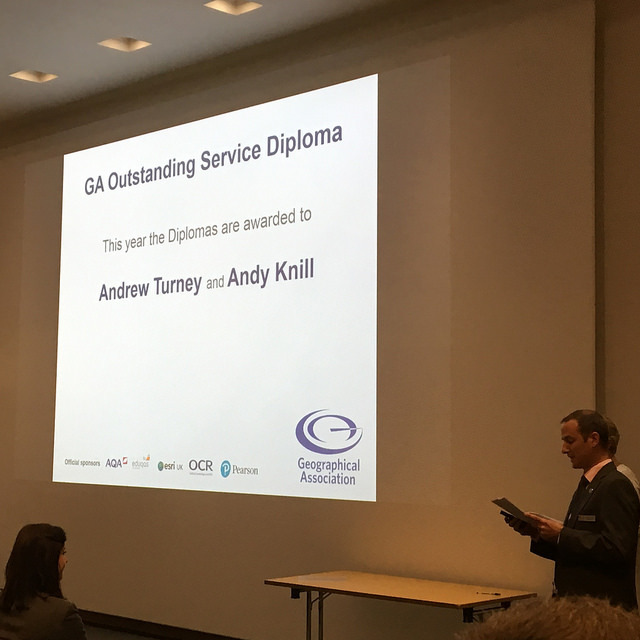 There was also a GA diploma for Andy Knill along with Andrew Turney. The wine reception followed, which meant a huge range of chats. The networking at the GA conference is as important as anything as else. I caught up with previous colleagues, along with some of speakers, and committee members. After the reception, I walked up to the Albany Pub for a drink with friends to recce the Beermeet the following night, and was reminded of previous visits to the city. A long day ended with a night-time stroll back through Guildford to my Travelodge room.